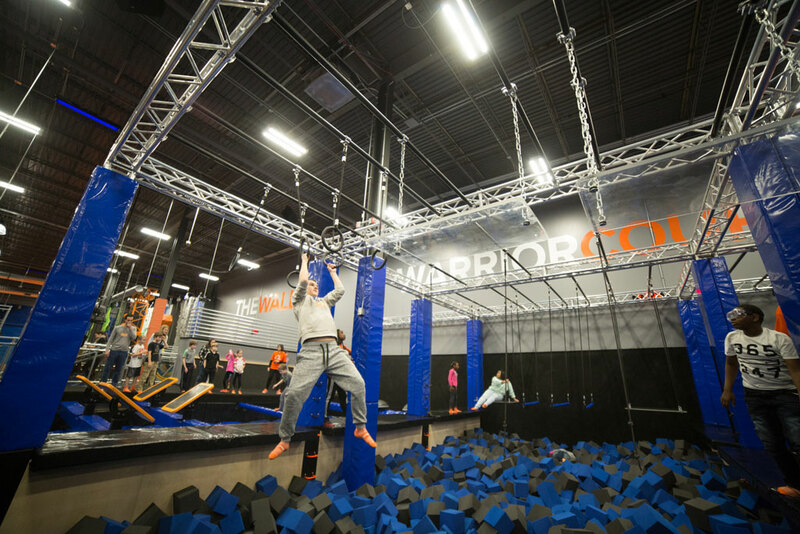 First on the scene and best in its class, Sky Zone created the world's first wall-to-wall trampoline park in 2002, bringing healthy, high-flying fun to people everywhere. Now you can be part of this international sensation. See how fitness, entertainment, and interactive technology create one powerhouse of an opportunity. Occupying three of Entrepreneur magazine's top franchise growth areas -- fitness, children's services, and special events -- our franchise partners enjoy multiple revenue streams. From onsite cafes, to warrior courses, climbing walls, and newly engineered pad-less trampoline systems, your business will be engineered to generate healthy revenue ($2,379,400 average annual gross sales in 2015*) and healthier communities. We are dedicated to helping every franchise partner succeed. Starting with proprietary training developed over 14+ years of trampoline park experience and unparalleled by industry competition, you'll receive support every step of the way, from your regional business advisor to our dedicated in-house marketing and innovation teams. We're always working to invent epic new ways to play, gather, and compete. Even though we're the originators of wall-to-wall aerial action, we never stand still. The only way to understand it is to come experience it. So rally your crew and let's go! People need to play. It's beneficial to mind and body. And staying active doesn't have to mean a daily ten-mile jog. We take our activity a different kind of way. 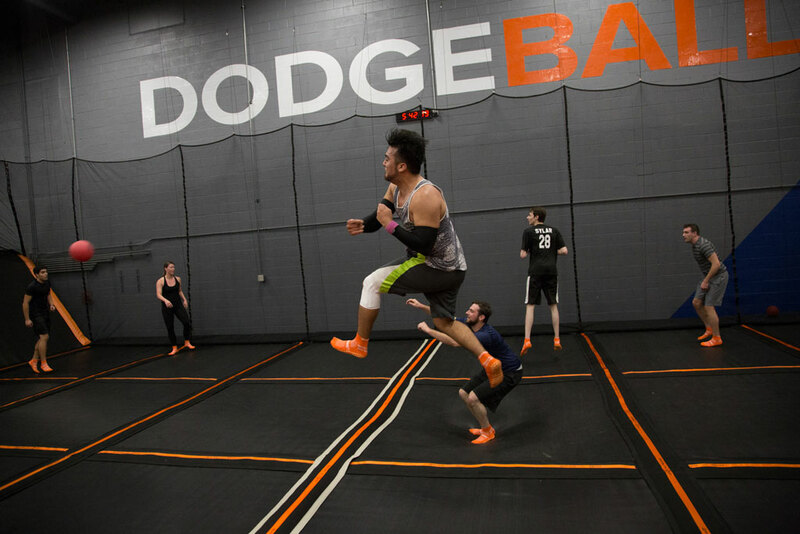 Whether soaring on the trampolines or ripping through the Warrior Course, your legs and lungs will work hard. But so will your smile muscles. And we're continually working on even more thrilling ways to play. 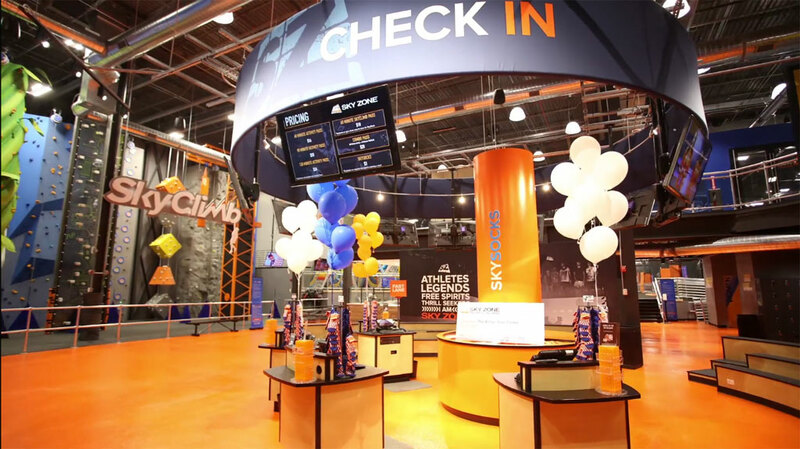 Whether it's a birthday party, an afternoon pickup game of Ultimate Dodgeball, a charity event, or just a day out with the family, Sky Zone is a place to gather with friends, family, and your community. We provide ways for people to play together, as well as spaces for parents and non-jumpers to enjoy themselves while keeping an eye on the action. Suspended in mid-air or in the heat of competition, nothing matters but the moment. This is the joy of play. Come refresh your mind and engage your muscles. You will always leave our park feeling better than when you entered. Looking for more information about Sky Zone? Take a moment to fill out our quick information request form.